UC Hastings is home to multiple student organizations, journals, and teams – and they make up the lifeblood of student life on campus. 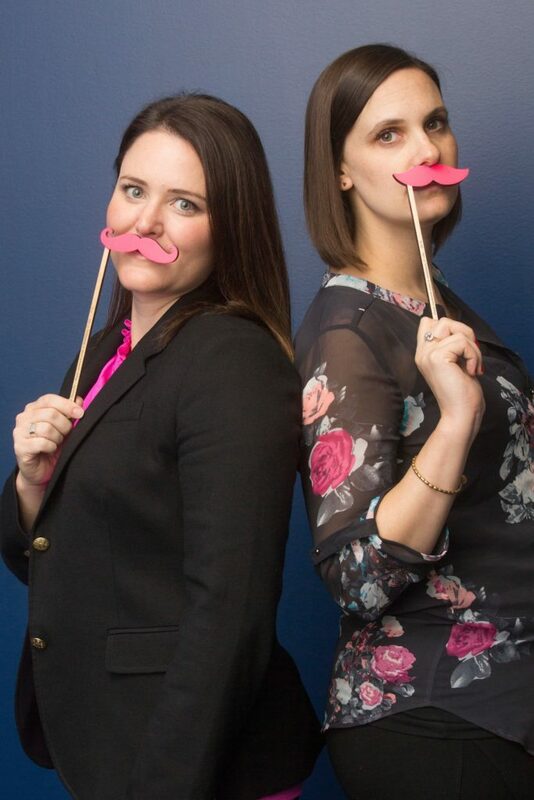 Through their events, mentorship programs, and community engagement, our student organizations help students grow their professional networks and connections, develop skills, explore opportunities on and off campus, and build lifelong friendships. Approximately 50 to 70 student organizations register with the campus annually, and our currently active ones are listed below. In addition, we also have multiple other student engagement opportunities, some of which are listed below as well. Promotes strong relationships between students and legal professionals of Armenian descent. Contact: alsa@uchastings.edu. Supports Asian/Pacific Islander students at UC Hastings by providing career and academic support, mentorship, and opportunities for networking with peers, alumni, and the larger Asian/Pacific Islander legal community. 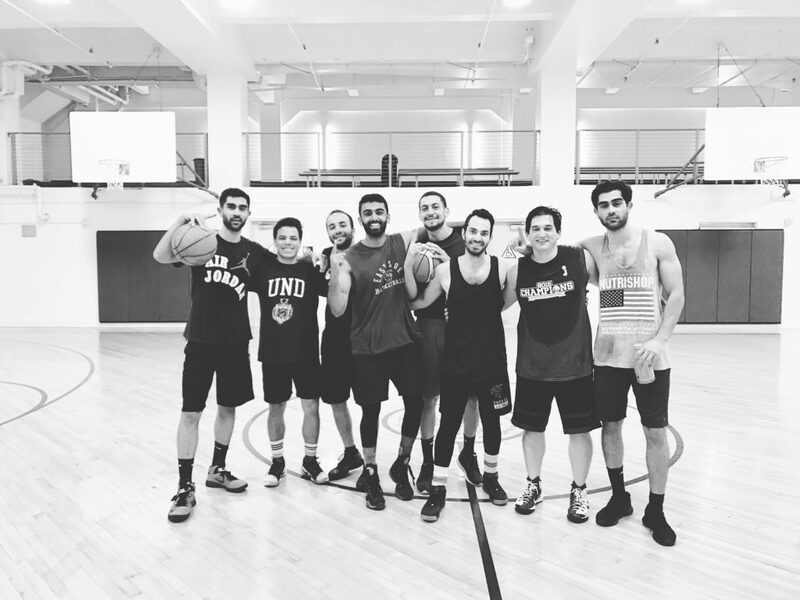 APALSA also seeks to address the issues and legal needs of the larger Asian/Pacific Islander community through community service and recruiting Asian/Pacific Islander students.​ Contact: apalsa@uchastings.edu. 1. To articulate and promote the professional needs and goals of Black law students at the University of California Hastings College of the Law. 2. To foster professional competence among Black law students at the University of California Hastings College of the Law. 3. To provide an environment which will promote unity and camaraderie among Black law students. 4. To influence society as well as the legal community to bring about meaningful change in the legal system to meet the needs of the Black community. 5. To motivate and facilitate successful matriculation through the law school and bar passage process. 6. To create and maintain active relationships between BLSA other student organizations and the larger law school community. Promotes Jewish life and activities on campus and build a diverse legal network of alumni, professionals, and students. Contact: hjlsa@uchastings.edu. Promotes Iranian Culture and Diversity on Campus. Create networking opportunities for group members. Contact: ilsa@uchastings.edu. The purpose of this organization is to provide a platform for academic and peer support, community service, to network with local and regional bar associations, and to celebrate cultural identity and heritage. The purpose of UC Hastings OUTLAW (hereinafter “OUTLAW”) is to promote a positive atmosphere at UC Hastings for lesbian, gay, bisexual, transgender, intersex, asexual, androgynous, two-spirit, queer, questioning students and their allies. An equally important objective of OUTLAW is to educate the community-at-large about the issues and concerns of the LGBTQIA community in order to alleviate and eradicate homophobia, transphobia, racism, sexism, and other affronts to the dignity of individuals. OUTLAW also seeks to promote strong ties between the organization and other student organizations through outreach and community-building activities. Contact: outlaw@uchastings.edu. PALS was started to address legal and social issues relevant to the Pilipino American community, but we welcome all individuals, regardless of ethnic background, who are interested in Pilipino American issues and increasing cultural diversity in the legal profession. Contact: pals@uchastings.edu. The purpose of the South Asian Law Students Association (SALSA) at the University of California, Hastings, College of the Law shall be to provide an organizational framework to address issues of concern to the South Asian Community. SALSA is designed to promote a better understanding and appreciation of South Asian issues legally, politically, and socially. SALA will invite the participation of local South Asian attorneys, judges, scholars, and political figures to educate and inspire SALSA members of UC Hastings. 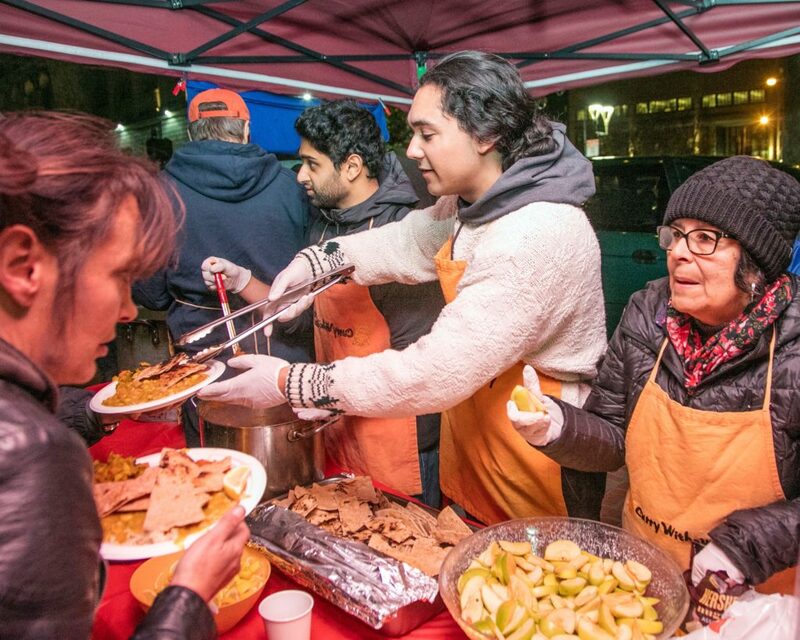 In addition to culturally-inspired events such as the annual UC Hastings Diwali Dinner, SALSA members will be provided with various opportunities to engage in the South Asian community. Contact: salsa@uchastings.edu. The La Raza Law Students Association (“La Raza”) is an interethnic and multicultural group at UC Hastings College of the Law (“Hastings”) dedicated to promoting diversity in the law school classroom and the legal profession. As the largest organization on campus, La Raza finds its strength in the diversity and dedication of its members. Though, individually, we have different backgrounds and perspectives, collectively, we share the same vision of success for all of our members as they navigate law school and transition into the practice of law. Contact: LaRaza@uchastings.edu. The primary purpose of the Hastings Older Wiser Law Students is to provide a social network for students with more life experience than the average law student. This group may include students with families, students with advanced degrees and students transitioning to law from another career. To provide an environment that will promote unity and camaraderie among United States Veterans who are current and former law students. To influence society as well as the legal community to bring about meaningful change in the legal system to meet the needs of the United States Veteran community. To cultivate relationships with United States military Veteran law students and United States Veteran attorneys. To provide San Francisco bay area veterans assistance in order to facilitate reintegration and to improve veteran’s overall access and availability to federal, state and private support programs. 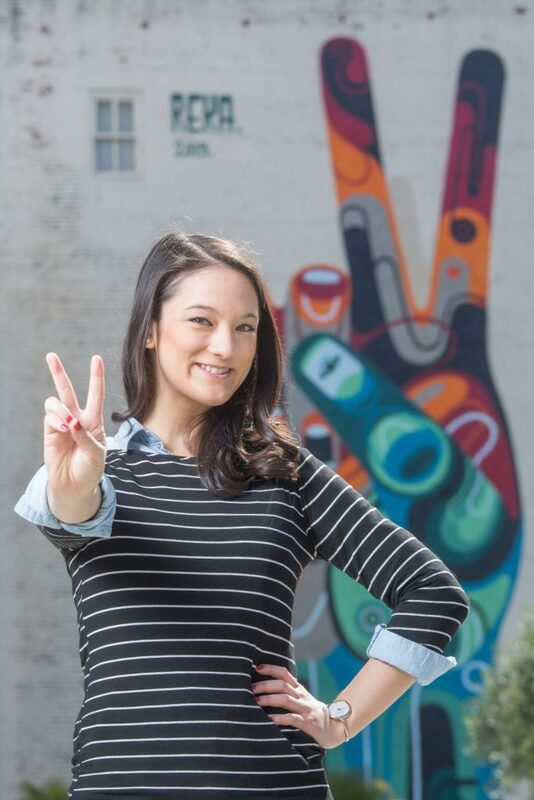 The purpose of the Hastings Vietnamese American Law Society is to encourage and promote the professional growth of its members; to foster the exchange of ideas and information among its members and with the community at large; and to support the Vietnamese legal community. Contact: vals@uchastings.edu. The Women of Color Collective at UC Hastings College of the Law, abbreviated WOC, is a safe and confidential space for self-identified women of color at UC Hastings College of Law. The mission of WOC is to create a support system for self-identified women of color law students so that each woman of color thrives while at law school and thereafter. Contact: woc@uchastings.edu. Women’s Law Society is a nonprofit, nonpartisan organization dedicated to the success of women in law school and the legal profession. Women’s Law Society seeks to support and improve the experiences of women law students and lawyers. Obstacles to equal participation hinder not only women in the law, but also their colleagues, clients, children, and communities. Women’s Law Society consequently strives to give voice to why it matters that women continue to overcome barriers to achieve gender parity in the legal profession. In doing so, Women’s Law Society spreads the word: women’s victories are everyone’s victories. Playing basketball for student health and fitness. Contact: uchb@uchastings.edu. UC Hastings Golf Club aims to grow the game of golf at Hastings by connecting students with other students as well as networking with alumni and local attorneys. The club will promote life skills and leadership through the game of golf. UC Hastings Golf Club will organize golfing events for students, alumni, professors, and local attorneys. Contact: golf@uchastings.edu. To (1) provide students, faculty, and staff with opportunities to play soccer on a weekly basis at indoor and/or outdoor facilities, (2) create an open community for individuals interested in playing soccer, (3) promote physical wellness, and (4) compete against other soccer clubs at nearby law schools. Contact: soccer@uchastings.edu. The purpose of HAYA is to raise awareness of youth law (including dependency, juvenile justice and education) as legal fields and provide a community for law students interested in legal work with youth. The goals of HAYA are as follows: to train students in dependency, education, and juvenile justice law to support their success in advocating for minor clients in various areas of youth law; promote outreach and pro bono opportunities in youth advocacy both independently and in partnership with other legal organizations that serve our common purpose; and advocate for better programming, funding, and faculty for child- and youth-related law at UC Hastings. The Hastings to Haiti Partnership (HHP) advances the rule of law and promotes human rights in Haiti by supporting the country’s legal education and engaging in human rights advocacy. HHP represents a collaboration of UC Hastings and École Supérieure Catholique de Droit de Jérémie (ESCDROJ), the only law school in Haiti dedicated to preparing students to serve the public interest. Since 1999, HHP has sent annual delegations of UC Hastings faculty and students to our sister school in Haiti, and we have also hosted several delegations of Haitian lawyers and students in San Francisco. To keep the partnership open to all UC Hastings and ESCDROJ students, HHP solicits donations that help defray the costs of travel. Donations will also provide much needed resources to support the launch of the first Criminal Justice Clinic at the law school in Haiti. We also welcome in-kind donations such as laptop computers and airline miles and provide opportunities for lawyers and other advocates in the Bay Area to mentor Haitian law students. To give students an opportunity to engage with issues concerning incarcerated persons, to give students an opportunity to learn about the criminal justice process post-conviction and to provide support to incarcerated persons. Contact: hpo@uchastings.edu. HSALDF is dedicated to providing a forum for education, advocacy and scholarship aimed at protecting the lives and advancing the interests of animal rights. HSALDF seeks to help students understand the connection between animal law and other areas, such as endangered species protection, global warming, criminal law and cruelty issues, including the public health of laborers who work in agricultural settings. HSALDF seeks to get students involved by raising awareness and participation in imminent issues. The mission of Hastings Students for Immigrants’ Rights is to help students translate an immigration law interest to an immigration law career. Our purpose is to provide our members opportunities to engage directly with the immigration community and gain experience as advocates themselves. We hope to educate our members, and the broader Hastings community, about the immigration field and to connect our members with attorneys active in the field. Contact: HSIR@uchastings.edu. Contact: homelesslegalservices@uchastings.edu for more information. Formerly the Law Students for Reproductive Justice, our organization educates, organizes, and supports students to ensure that a new generation of advocates will be prepared to protect and expand reproductive rights as basic civil and human rights. Contact: ifwhenhow@uchastings.edu. LSSDP shall exist to mobilize and empower law students to participate in the political process, pushing for sensible policies to achieve a safer and more just future, while fighting back against counterproductive Drug War policies, particularly those that directly harm students and youth. Contact: lssdp@uchastings.edu. The NLG has 20 issue-based national committees, projects, and tasks forces working in virtually all areas of public interest and movement law. Law students are the NLG’s fastest growing membership category, with 100+ chapters at law schools nationwide. Law students work on a variety of issues, organizing on and off campus. Contact: nlg@uchastings.edu. First-year students who wish to participate on a journal during their second year are required to enter the Inter-Journal Writing Competition, which occurs in the Spring of the 1L year. All rising 2Ls who wish to participate on a journal at Hastings, must also enter the Inter-Journal Writing Competition. There are no other, alternative options for joining a journal. The goal of CLQ is to be a nationwide leader in the publication of legal scholarship on contemporary constitutional issues. 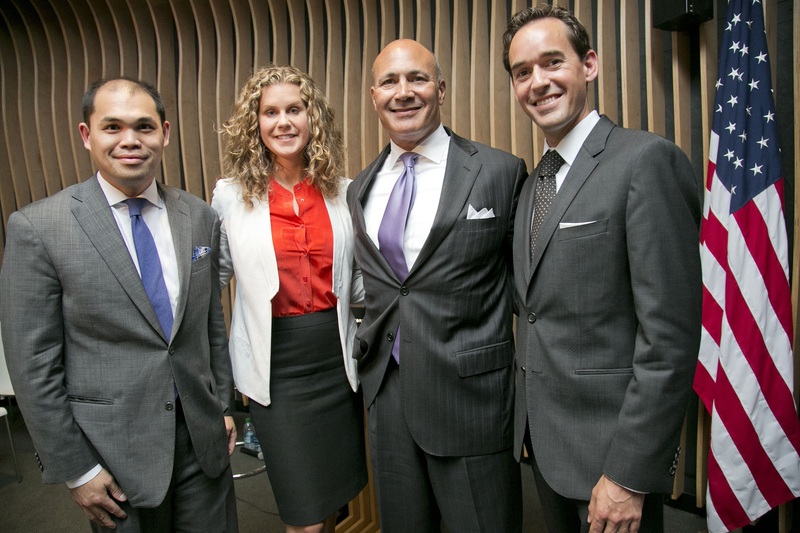 Through the publication for four issues annually and several events and symposia, CLQ endeavors to engage a variety of thought leaders and a wide audience in the exploration of some of today’s most pressing legal debates. Contact: clq@uchastings.edu. Publishing cutting edge scholarship related to business law. Contact: hblj@uchastings.edu. Since 1976, Hastings Communications and Entertainment Journal (COMM/ENT) is one of the nation’s first law journals dedicated to the field of Entertainment and Media law. Now, nearly forty years later, COMM/ENT has expanded its scope to other areas, such as communications and entertainment in the midst of technology and disruptive innovation, including, but not limited to, Intellectual Property, Data Privacy, Licensing, Employment and Labor Law, Constitutional Rights, and International and Comparative Law. The Washington and Lee University School of Law Library, which publishes the most widely-followed law review rankings, lists COMM/ENT as the nation’s fifth best law journal in Communications Law, Media, and Journalism; and seventh best in Arts, Entertainment, and Sports law. Contact: comment@uchastings.edu. HELJ functions as an integrated forum for dialogue on law, policy, and thought on the most vital issues concerning the environment. Contact: helj@uchastings.edu. Founded in 1976, the Hastings International and Comparative Law Review (“HICLR”) was one of the first law journals in the country dedicated exclusively to legal discourse on the most pressing international and comparative legal issues. As a resource for both academics and practitioners, HICLR provides a forum for exchanging ideas on public and private international law. The journal is published two times a year and welcomes submissions from around the world. Recent topics of discussion in the journal include Religious Rights and Women’s Rights in Africa, the burden of proof in International commercial arbitration, international trade, and refugee rights. Contact: hiclr@uchastings.edu. The Journal is dedicated to publishing an annual volume of legal scholarship of the highest quality and of the greatest use to legal scholars, judges, and practitioners. Contact: hlj@uchastings.edu. The Hastings Race and Poverty Law Journal (HRPLJ) is committed to promoting and inspiring discourse in the legal community regarding issues of race, poverty, social justice, and the law. This journal is committed to addressing disparities in the legal system. We will create an avenue for compelling dialogue on the subject of the growing marginalization of racial minorities and the economically disadvantaged. It is our hope that the legal theories addressed in this journal will prove useful in remedying the structural inequities facing our communities. Contact: hrplj@uchastings.edu. The Hastings Science & Technology Law Journal (“STLJ”) is a multidisciplinary journal created to enrich the discourse at the nexus of science, technology, and the law. Specifically, STLJ focuses on the exciting legal issues surrounding startups, intellectual property, data privacy, biotechnology, clean technology, and health policy, while exploring the implications of technological advances on traditional legal fields, such as contracts, antitrust, and tax. STLJ is dedicated to publishing a bi-annual volume of legal scholarship of the highest quality and of the greatest use of scholars, judges, policy-makers, scientists, practitioners, and law students. Contact: stlj@uchastings.edu. Since 1989, the Hastings Women’s Law Journal has provided a forum for voices outside the traditional scope of legal academic scholarship. We offer and maintain an inclusive space for feminism, race theory, queer theory, multi-culturalism, animal rights, disability rights, language rights, international human rights, criminal defendants’ rights and human rights of people in prison, among others. HWLJ takes the road less travelled in regard to the law. This perspective embraces difference and celebrates diversity. Staffed entirely by students and volunteers, HWLJ publishes twice a year — giving its subscribers access to discussions on cutting edge issues which many law journals either avoid or ignore. We are a progressive, diverse, open, and forward-looking collective of individuals working together to widen the scope of legal scholarship. To this end, HWLJ publishes works of literature, poems, book reviews, personal pieces, and, of course, legal analysis. We strongly believe that the law is a solution for the ills of the human condition, not merely a means of gaining and preserving privilege and position. The American Constitution Society (ACS) believes that law should be a force to improve the lives of all people. ACS works for positive change by shaping debate on vitally important legal and constitutional issues through development and promotion of high-impact ideas to opinion leaders and the media; by building networks of lawyers, law students, judges and policymakers dedicated to those ideas; and by countering the activist conservative legal movement that has sought to erode our enduring constitutional values. By bringing together powerful, relevant ideas and passionate, talented people, ACS makes a difference in the constitutional, legal and public policy debates that shape our democracy. Contact: acs@uchastings.edu. Hastings Democrats shall advance all Democratic Party principles, with sensitivity to the issues and demands particular to law students and the generation of citizens 35 years old and younger. It shall further shall seek to be inclusive towards those who share left-of-center political philosophies, be they unaffiliated or otherwise such to provide room for conversation and promote new membership and voices within the Democratic Party. Contact: democrats@uchastings.edu. The purpose of the Hastings Federalist Society is to foster critical thought and debate about the application of conservative and libertarian principles to the law. The Hastings Federalist Society embraces the principles that: the state exists to preserve freedom, the separation of governmental powers is central to the integrity of our Constitution, and it is emphatically the province and duty of the judiciary to say what the law is, not what it should be. The Hastings Federalist Society seeks both to promote an awareness of these principles and to further their application through its activities. This entails reordering priorities within the legal system to place a premium on individual liberty, traditional values, and the rule of law. It also entails restoring recognition of the importance of these norms among lawyers, judges, law students and professors. In working to achieve these goals, the Federalist Society has created a conservative and libertarian intellectual network that extends to all levels of the legal community. Rather than politically identify ourselves, our mission is simply to improve the democratic process. As unaffiliated progressive law students, we feel it is our duty to essentially issue spot. If the majority feels a certain way, we would like to identify what is preventing that issue from being resolved. For instance, let us explore why the electoral college came into existence, why it remains, how might we improve upon it or abolish it, and what steps ought we take to achieve those ends. We realize there are no right answers and entertain all possibilities that pertain to democratic procedure. Thus, we plan to research such topics as ranked voting systems, campaign finance reform, and universal healthcare. Our ultimate goal is to foster a nonpartisan environment that translates complex theories into simple, discussable terms. Whether or not our democracy needs change, the Hastings Progressive Society finds its task in proactively searching for ways to improve the lives of all. The Asian Law and Business Association (ALBA) is a student organization at UC Hastings, College of the Law that serves as a collaborative platform for law students to build their international careers and forge relationships within the legal and business communities of the US and East Asian countries. For more information, please contact Brent Coulter at brent.coulter@uchastings.edu. The goals of ACSEL are to provide all interested students with individual recognition, develop institutional appreciation, encourage curriculum development, and create an alternative source of information on the communication, sports and entertainment industries. Contact: acsel@uchastings.edu. The Associated Students of UC Hastings (ASUCH) is the elected student government of UC Hastings and is responsible for representing the interests of the student body. Follow ASUCH on MyHastings. The mission of the Hastings Business Law Society (HBLS) is to serve as a forum to connect all students at Hastings College of the Law with the business law field. HBLS’ goal is to provide students with access to information concerning the study and practice of business law, courses, scholarships, and careers. Furthermore, students will have opportunities to network with alumni who are working in the various areas of business law. Contact: hbls@uchastings.edu. To promote dialogue and activity regarding criminal justice practice, scholarship, and policy making. Contact: hcls@uchastings.edu. To encourage students to pursue careers in Employment and Labor Law. Contact: ellsa@uchastings.edu. Create a forum for all students to be involved in a range of environmental activities. Encourage environmental awareness and activism among Hastings students. Influence campus policies relating to environmental responsibility. Support students in pursuing careers in environmental law and making contacts with professionals in the field. Establish and maintain working relationships with other law schools, local and national environmental groups, and environmentally focused businesses and law firms. 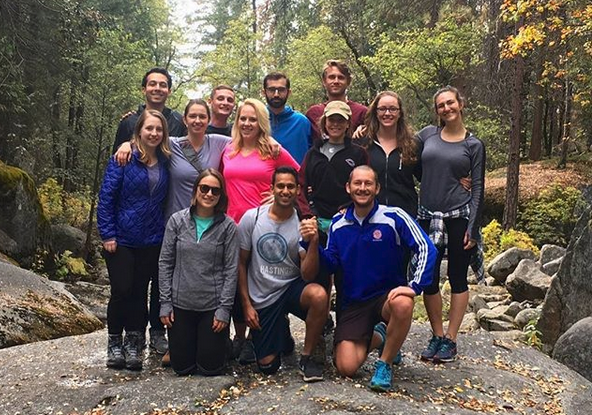 HELA’s primary objective is to network with students, alumni, and professionals concerned about the environment and find career opportunities for those students who are interested in pursuing environmental law. The Hastings Food and Wine Law Society (HFWLS) is a student organization at the University of California, Hastings College of the Law. HFWLS brings together students who are interested in the burgeoning and dynamic areas of food, wine, and general alcohol beverage law. Contact: hastingswinelaw@uchastings.edu. Our group represents the student group affiliated with the UCSF/UC Hastings Consortium, Law and Health Sciences Concentration, Student Health Advisory Committee, and more. We provide networking and volunteer opportunities for students interested in practicing or learning more about Healthcare Law. Contact: hhlo@uchastings.edu. The mission of the Association shall be to promote and foster the study of intellectual property law for all past, current and future Hastings students. Contact: hipa@uchastings.edu. Contact: hpilf@uchastings.edu for more information. The primary purpose of the Space Society is to prepare students to harmonize the interests of private companies exploring outer space for profit with the interests of the United States specifically and the human species generally. The primary purpose of the Hastings Student California Supreme Court Historical Society is to create a group of like-minded Hastings students who have an express interest in learning about California’s legal and judicial history, with a particular emphasis on the State’s highest court. Contact: hscschs@uchastings.edu. UC Hastings Alternative Dispute Resolution (ADR) Team provides students with opportunities to practice their negotiation and mediation skills on a regular basis throughout the school year. Client Counseling Team (HCCT) is an organization designed to focus on skills development, and integrating “real world” experience with theories and principles of client interviewing and counseling. All HCCT units are subject to the overall 18-unit credit limit for non-classroom work as set forth in the Academic Regulations and Other Rules Applicable to Students. 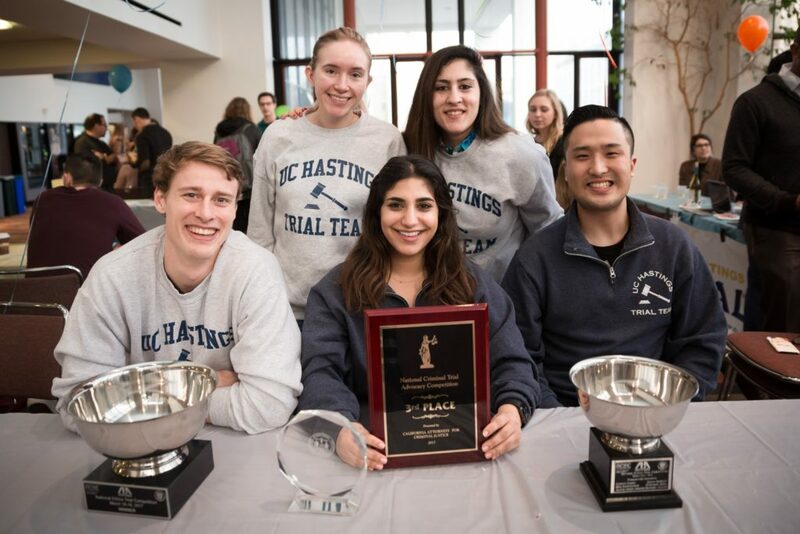 The purpose of the UC Hastings Moot Court Team is to provide students the opportunity to work in teams to increase their practical skills and knowledge of research, brief-writing, oral argument and appellate rules, standards and practice. The team is coached by appellate specialists, practitioners, alumni, and students and the cases are typically cutting-edge legal issues on appeal to the Supreme Court. The students work intensely on their advocacy skills to develop and polish their style and substance. Students complete an appellate brief and oral argument and observe their teammates’ appellate arguments. The Law Student Tax Challenge (LSTC) is designed to focus on the tax consequences of a complex business-planning problem and is intended to provide law students with the opportunity to research “real-life” tax planning issues and to demonstrate their acquired tax knowledge, through their writing and oratory skills. Current Student Organization leaders should consult the Student Organization Handbook and the Student Organization MyHastings page for information regarding student organizations and the most common issues that arise.